With NAMM around the corner, budget-conscious brand Vintage is releasing three new Gibson SG inspired models for this year’s lineup. 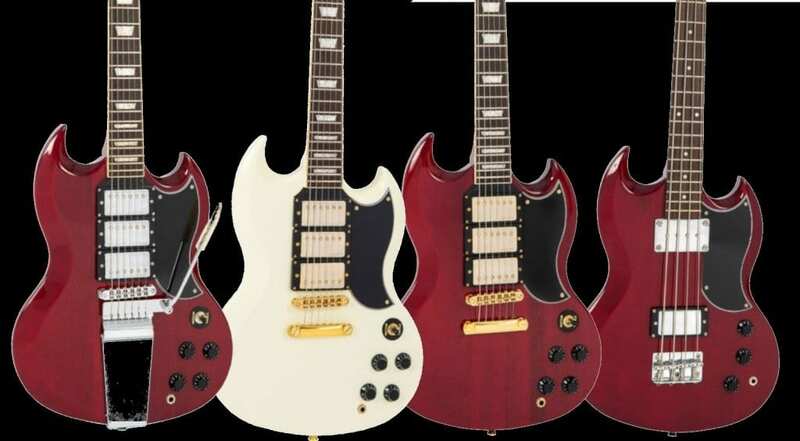 The three new VS6 series of electric guitars are clearly in the spirit of the classic ‘red devil’ Gibson SG with a few shifts in design, so it’s not an exact copy. 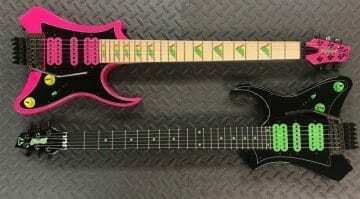 And the peculiarity is that they were inspired by the 1960s and 1970s models, with three humbuckers adorning the front. The white VS63VW in Vintage White recalls the model once used by Carlos Santana, matching it with gold hardware and trapezoid inlays. The cherry-red VS63CR is more classic, albeit with a special touch of gold hardware and possibly not for all tastes. The third in the range is the VS63VCR, equipped with a Wilkinson Vibrola Bridge. I’ve actually owned a Vintage SG with one of these Vibrola bridges a few years ago. I picked it up on a whim because it was Pelham Blue and looked cool. It played fine and the Vibrola was useable in a Bigsby kind of way. As long as the nut was well lubed and strings stretched in properly, it worked. 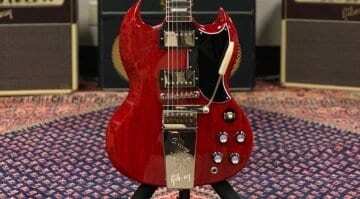 It wasn’t anywhere near as nice as my Gibson SG Standard, and it weighed more, but it played well and sounded good. The VS4CR has the Gibson EB Bass vibe to it, which is basically an SG bass. It has two pickups, metal bridge, volume/tone and fade controls as well as dot inlays. 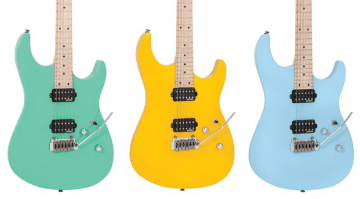 We don’t have any more detailed specifics on all these new models just yet, but as I’ve owned a similar two pickup version myself in the past I would say they will probably be well-made instruments. No, they won’t be as great as a real Gibson SG, but if you are on a budget and need an SG-style guitar that plays well and stays in tune, then the Wilkinson VS6 range should be on your radar. I don’t know about your Vintage to Gibson comparison comment-more than a few of the Vintage brand guitars I have seen and played were better than quite a few of the comparable Gibson models they were modeled on. I really liked the few of their guitars I have owned. 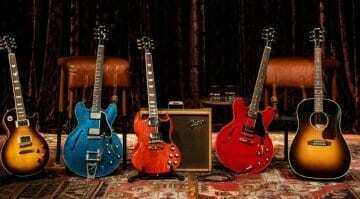 Gigged them and everything, can’t say I found them better than Gibson or worse, just a lot cheaper!